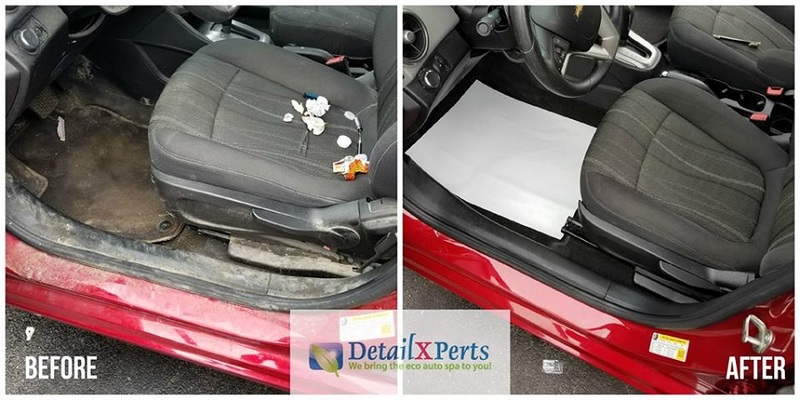 Welcome to DetailXPerts of Southwest Chicago! Eco-Friendly mobile wash that comes to you! 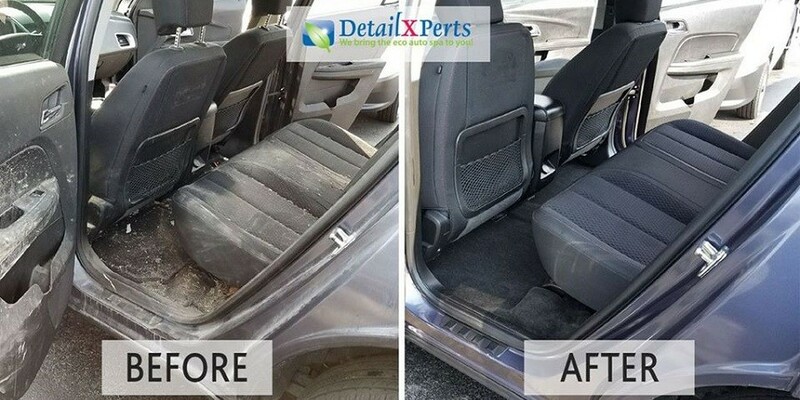 We use steam and organic cleaning materials guaranteed to remove 100% of deep-down dirt, grime, molds, mildew and bacteria from your vehicle. 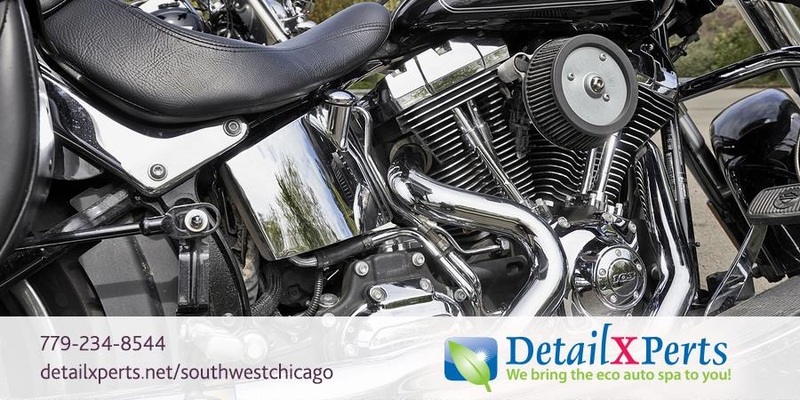 To be even more time-efficient, our detailing services and steam car wash can come to you. 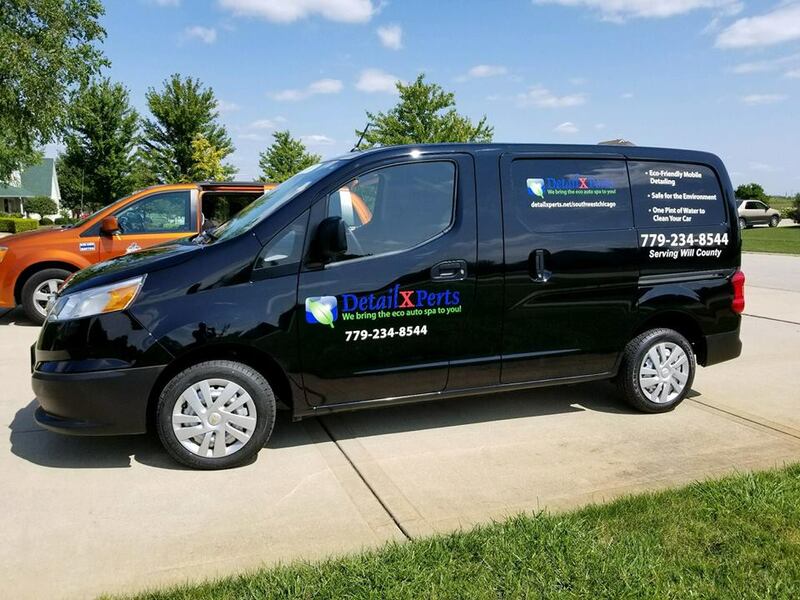 Our green, super-clean steam car wash and detailing services leave you with a pristine vehicle that's fresh-smelling and sparklingly clean from top to bottom, inside and out, leaving it looking as good as new. We only use a pint of water for cleaning an entire car and five gallons for an entire tractor. This means NO water wastage, NO chemical runoff, NO messy water puddles and NO damage to the environment. 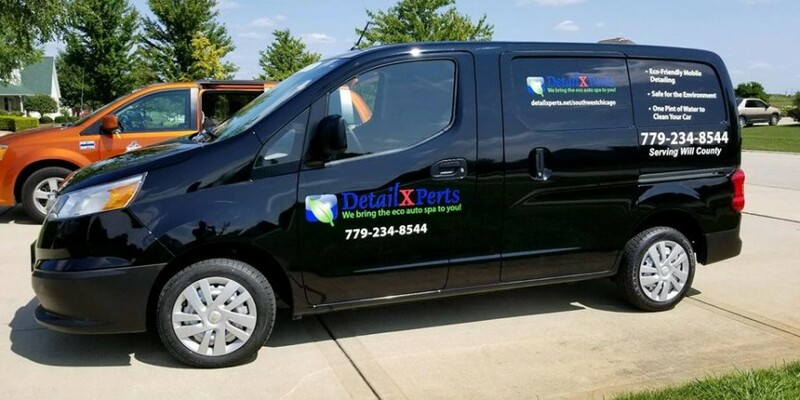 I sincerely cannot say enough about John Bien-Aime and Omar Valdez of DetailXPerts in Southwest Chicago! My car was trashed. I have three kids. We had, clay, DRIED silly putty, little human smarm, markers, spilled food...you name it, it was in that car. I did not hold out much hope but thought we would try them as we are turning our leased car back in, in just a couple months. I am sincerely floored at how beautiful it looks. They came to my home to do to, I worked the entire time, walked outside, they handed me my keys, and it looks like someone else's brand new car. Remarkably kind, competent and knowledgeable staff. Wish there was a 10 star rating . Thanks guys! They showed up promptly at the scheduled time. The job they did on my vehicle was exceptional. It had been several years (the more I think about it - possibly 4 years or even more) since the last time I've had the vehicle detailed, and basically I live in that one, so to say it was dirty would be an understatement. When they were done the difference was night and day with the car. They made the car look great, everyone who saw the finished vehicle were impressed with the job they did - they were able to remove the years of ground in dirt from the door panels where my arm rests while driving - including the fabric panels on the doors, floors, and dash, they were very good at even getting a gatorade stain out of the passenger side floor mat (it was bright red on the grey carpeting of the mat - now you can't really tell that it was even there). Overall I would say that the process and the job done on the this one and the other truck I had done has far exceeded my expectations. I am very impressed with what can be done, and will be using your company in the future. My husband and I had John and Jacob out to detail our cars this afternoon. My husband's car was in dire need of a deep cleaning. After they worked their magic, it looks fantastic. So clean, cleaner than I thought it could ever be again. My car wasn't that bad, but I'd had a few coffee mishaps that had stained my floorboards. I wasn't sure they would really be able to get them out and they did! They were prompt, professional, and friendly. For the convenience of having someone come out to your house & having them do truly excellent work, DetailXPerts are the obvious choice. I just got my 2011 CTS detailed for the first time. I wish I had done it sooner. My car looks like new! Honestly there were stains on my carpet I wasn't sure if they'd ever come out (I had tried myself). With 3 boys it definitely needed some TLC. I wish I took before and after pics, but I truly am extremely happy. Price was great too. Thank you!! I just wanted to give a shout out to DetailXPerts of Southwest Chicago for an amazing job! Seriously check these guys out, motorhome cleaned top to bottom, waxed, buffed, clay barred, looks better than the day I brought it home. They got ALL the scratches out from those nasty trees. The best part was that I didn't have to take it anywhere, yep they come to you! Thanks again for the great work guys, I LOVE IT! 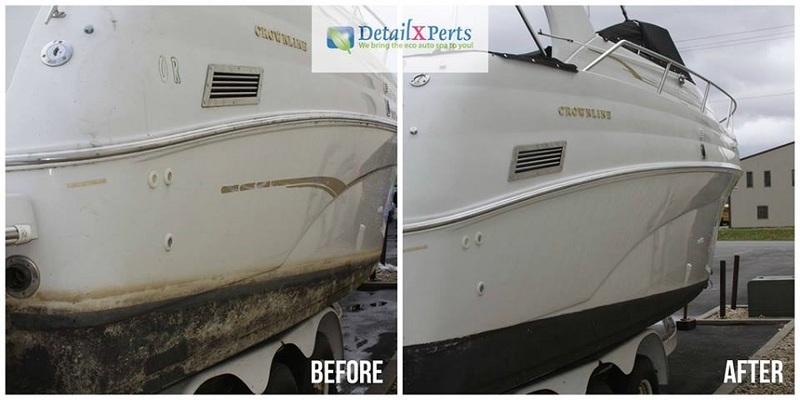 The guys at DetailXPerts of Southwest Chicago took years of neglect off a 1999 29ft. Crownline Cabin Cruiser that I bought last fall. They even got the wore out graphic stripe off the sides. 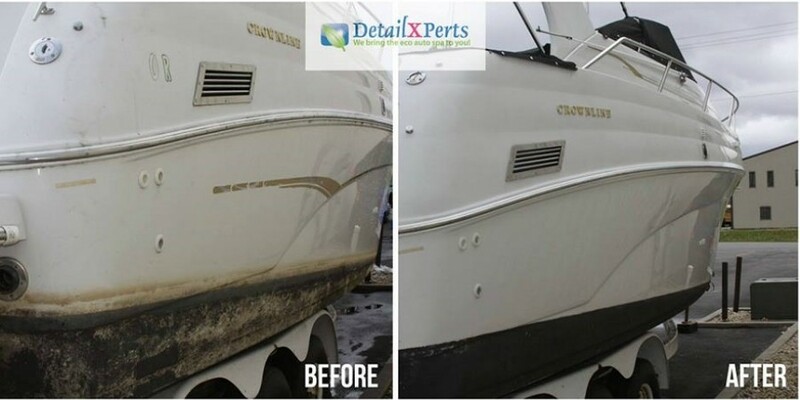 The boat shines and looks like a newer boat now! John came out and took care of my Harley ultra limited. Looks brand new!